This doesn't happen ...does it? 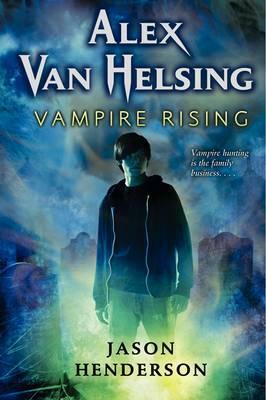 Two vampire attacks in his first three days at boarding school and Alex Van Helsing realizes there's more to the family name than he thought-and more to this area of Switzerland than meets the eye. Lurking underneath Lake Geneva lies a secret vampire university called the Scholomance. And somehow the vampires know a Van Helsing has arrived. Special agent Sangster of the Polidorium-an undercover, international vampire-hunting organization-wants to train Alex in the tricks of the trade, but when two innocent teens are kidnapped, rehearsal is over. It's up to Alex to infiltrate the Scholomance and rescue his friends ...if he can survive the zombies, bullets, and fangs heading his way!